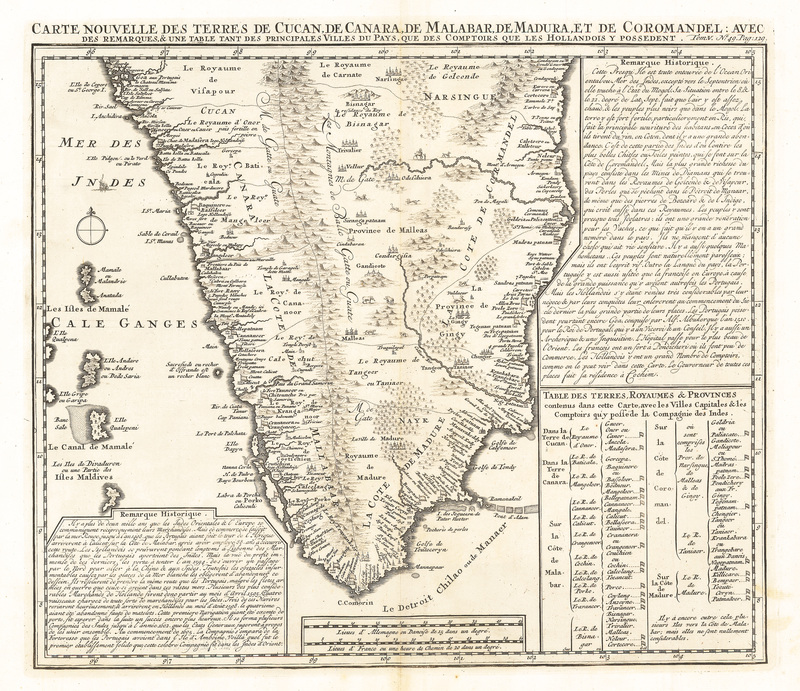 This map shows from Goa and Nelour to the southern tip of India in exceptional detail. The Western Ghats mountain range runs the length of the coast while hills, forests and indigenous animals are engraved throughout. Cities, villages, ports, and bays are noted along the coast while the interior includes focuses on larger cities and regional divisions. Two text boxes present the history of the area and a table presents a breakdown of the various kingdoms, capitals, and cities within each province. Condition: Map is in A condition, with some light browning mostly confined to the far margins. 1544 / 1553 Charta Cosmographica, Centorum propria Natura et Operatione.